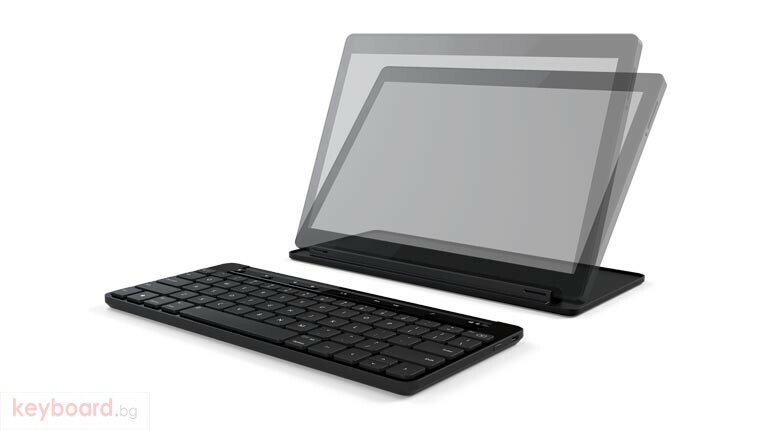 Multi-purpose cover - The protective cover includes an integrated stand for your tablet or phone. The cover can be detached for more comfortable positioning of your device. Open the cover to connect - Simply open the cover to power up and connect. Close the cover to turn off the keyboard. Designed for iPad, iPhone, Android devices and Windows tablets - Pairs with up to 3 devices with different operating systems and easily switch between them using the Operating System switch. Rechargeable battery - Rechargeable battery provides up to 6 months of usage on a single overnight charge. A ten minute charge provides 8 hours of usage. Battery status indicator lets you know when you’re low on power. Wireless Bluetooth Technology - Bluetooth connectivity eliminates the clutter of wires and dongles.